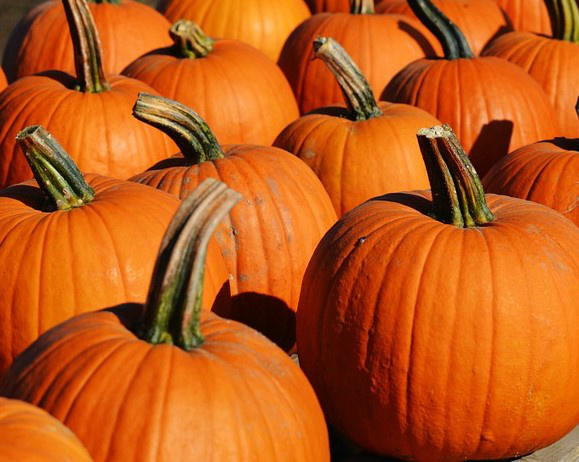 While the most common variety for pumpkin grown for Halloween carving in the USA (the Howden) may not provide as much flavour as varieties grown specifically for eating but still make tasty soups and pies. There are a large number of very tasty squashes and pumpkins suitable for home and allotment growing that can be used to carve different shaped lanterns these all have flesh high in fibre and beta-carotene that should not be wasted. To help reduce this waste and save money Love Food Hate Waste (http://ni.lovefoodhatewaste.com/node/4172) publishes a range of pumpkin recipes sThe fresh of giant pumpkins grown for Biggest Pumpkin Competitions is also edible but tends to be coarser and have less flavour than pumpkins grown specifically to eat but they can still be in pies, soups, and used in recipes as an alternative for squash.